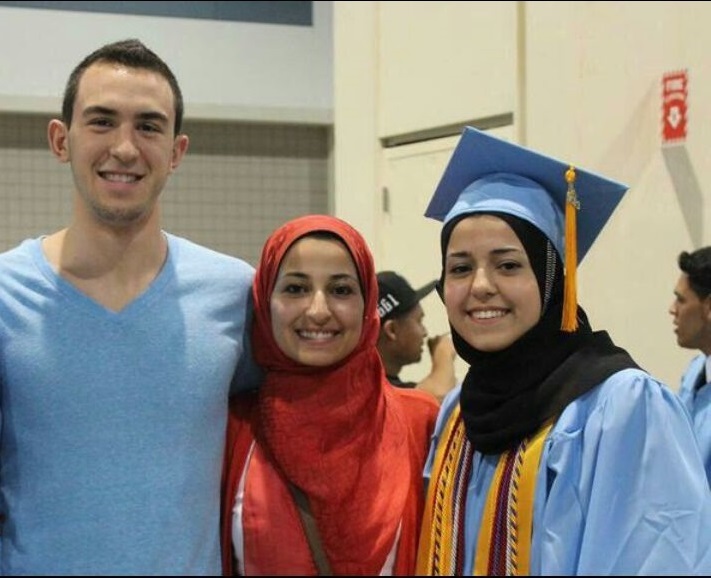 The International Interest Three Muslim students killed in extremist attack - where is the media uproar? Three Muslim students killed in extremist attack – where is the media uproar? Three young Muslim students have been shot dead in their home in Chapel Hill, North Carolina, by self-proclaimed ‘anti-theist’ Craig Hicks, 46. The victims are recently wedded Deah Shaddy Barakat, 23, his wife Yusor Mohammad Abu-Salha, 21, and his sister-in-law Razan Mohammad Abu-Salha, 19. As more information emerges about this horrific attack in a quiet neighbourhood, a deafening silence can be heard from the mainstream media, speaking volumes within itself of media impartiality. The Guardian’s front page has, at the time of writing, made no mention of the attacks. Ironically however, the publication is currently running a headline on British police monitoring Charlie Hebdo magazine sales in newsagents. The BBC has covered the story of an extremist being jailed in Belgium for facilitating jihadists travelling Syria. The Times has also touched on the Hebdo issue by presenting Lord Woolf’s opinion that Muslims should not be offended by cartoons. World leaders have yet to make a statement. Deah Shaddy Barakat was a 23 year old dental student at the University of North Carolina, and worked with a charity to provide emergency dental care to Palestinian children. Deah’s Facebook page shows a young man full of the vitality of life; an American football and basketball fan who had recently taken part in providing food for the homeless. He was also newly-married to the second victim, his young wife Yusor Mohammad Abu-Salha, who was due to begin her dental studies this autumn. The youngest victim, Yusor’s sister Razan, was also a student at North Carolina University. Craig Hicks used social media to regularly express his hatred for religion, quoting prominent atheists including Richard Dawkins. Dawkins has since condemned the attacks via his twitter page. The attack comes amidst an environment of increased tensions and heightened islamophobia following the Paris attacks which saw Charlie Hebdo journalists killed by extremist gunmen. However questions have emerged on social media regarding the coverage of this story which has suggested that this act lacked ideological motivation. Hicks has since been charged with three counts of first-degree murder. Soumaya is one of our halal travel experts, having explored across Europe, Asia, Africa and the Middle East. She transformed her maternity leave into a gap year, visiting Singapore, Malaysia, South Korea and Japan across three months – all with a teething baby in tow!